Did you know that outsourcing for your business is what will help make your business grow? Everyone wants to see their business blossom into a booming industry. However, not everyone is aware of what moves should be made to get those results. 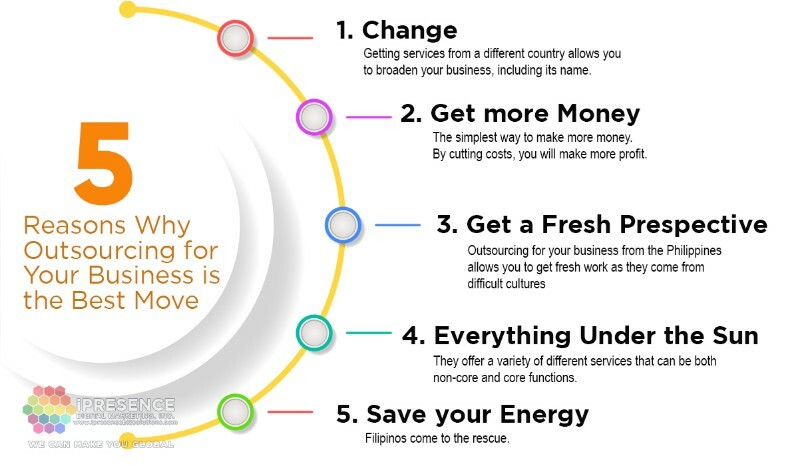 Outsourcing is the move that your business needs, especially if it is done in the Philippines. However, not everyone is aware of what outsourcing is and what it does. To put it in simple terms, outsourcing is where you get a product or service from a different country. Businesses usually outsource non-core activities, such as blogging, data entry, social media posting, etc. A good description of how outsourcing for your business can benefit you found in this video. It displays the video creating and editing skills of the Filipinos while describing what you ought to know. Keep on reading to find out why the Philippines is a hotspot for the best outsourcing services in Asia. If you want your business to improve, then change needs to start happening. If you do the right moves, then change will be extremely beneficial for your business. This is the reason outsourcing is the best choice for you. Getting services from a different country allows you to broaden your business, including its name. The Philippines is the best place to get the change that you want. Everyone knows the simplest way to make more money. By cutting costs, you will make more profit. But did you know that outsourcing for your business from the Philippines is one of the ways you can also do that? It is time to think out of the box and start outsourcing from the Philippines. It is a developing country, so the cost of labor is low compared to Western standards. However, the cost of labor doesn’t diminish the quality of work delivered. Filipinos are hardworking people who are eager to please. Therefore, you will be able to afford their services without compromising on the quality of the services that you receive. The Philippine government encourages their people to get work online, as they have a very large population. By buying their products and trying their services, you will be helping both yourself and someone else’s economy to a certain degree. When you are used to the writers available in your country, you might notice that your team feels a bit limited. However, you do not have to settle for staying within limitations. 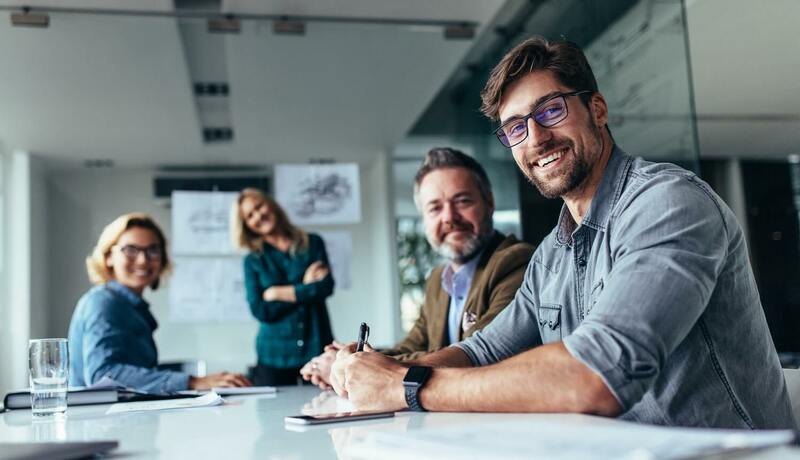 Outsourcing for your business in the Philippines allows you to get fresh work as they come from difficult cultures; therefore, giving you a new perspective on your business. When it comes to the services that are offered by the Philippines, the options are endless. They offer a variety of different services that can be both non-core and core functions. Take iPresence Digital Marketing Marketing, Inc. as an example. One of the many things that they excel with is in video creation (animated and explainer videos), which is displayed on the video embedded on their home page. They offer a broad range of digital marketing solutions such as content writing, explainer videos, voice over, graphic design, website design, virtual assistance, transcription, forum marketing, and keyword research. Are you tired of entering all the data you need for your business and answering emails constantly? This is where Filipinos come to the rescue. They offer services that can take a great workload off of you. Many people get virtual assistants from the Philippines to do any office work that can be done online. They also offer great customer care to please your clients when you’re taking a break. It’s time to start turning your business into what you want it to be today. By outsourcing for your business, you will be making a wise choice that will bring you the most productive company that you deserve. The business outsourcing industry is constantly growing. Since the Philippines has become a favorite among many countries for outsourcing, Outsource Accelerator has decided to take advantage of this. They want to promote outsourcing in this country by creating an amazing competition called The Source. This competition smoothly blends advertising and outsourcing from the Philippines while giving the Filipinos a great competition to join. It also shows what services the Philippines has to offer, starting with their writing and editing skills.